When we consider acquiring a property, many folks are thinking about taking possession of the full bundle of ownership rights. However, on many properties, ownership may exclude certain rights. For example, a public entity or utility company may own a “right-of-way” through the property to accommodate a road or electric power; another owner may hold a shared access right to a road; yet another may hold water or “spring” rights. Such limits on title are known as encumbrances and are accepted by most buyers, especially if they provide power or access. Before taking title to a property, buyers have their attorney conduct a title search to uncover any third party interests in the full bundle of property rights. So, what is a conservation easement? A conservation easement is a special type of encumbrance that limits development, requires sustainable management of the property’s natural resources, and, sometimes, requires allowance of public access. While conservation easement language can vary, much of the language has been standardized. Conserved properties are common in the northeast where conservation organizations, state and municipal governments have cooperated for decades protecting land from development, fragmentation and unsustainable use of natural resources. The map below is a common property locus map provided by Fountains Land. 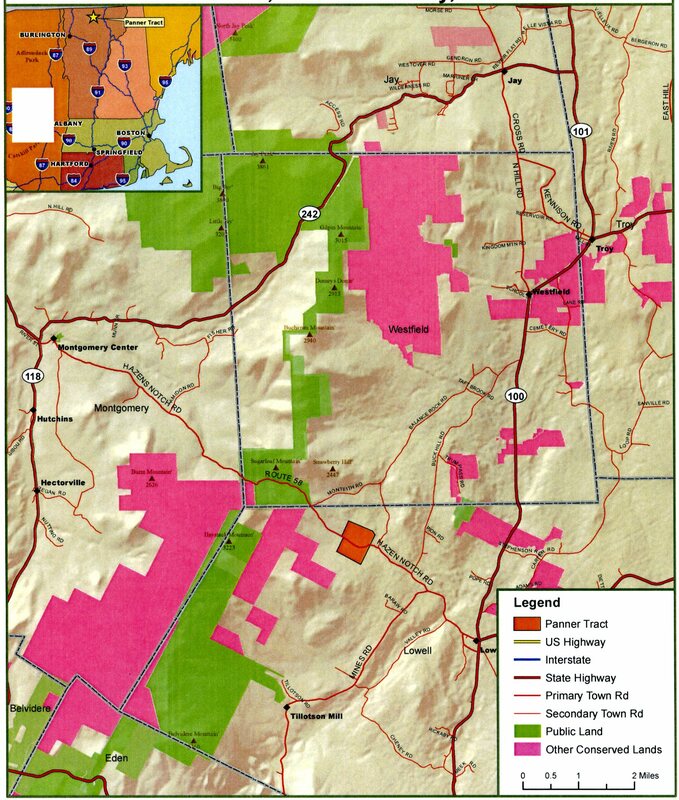 The pink areas are properties covered by a conservation easement. As you can see, easement encumbered properties are quite common in this corner of Vermont. How does a property end up with a conservation easement? Conservation groups (and sometimes state governments) acquire some of the bundle of ownership rights of a property and become the stewards of these rights they own in the property. In this case, they are often referred to as the “easement holder” or “grantee.” The land under the easement is often owned privately, with permitted uses identified in the easement terms held by the grantee. In these situations, the landowner, also referred to as the “grantor” and easement holder become partners in the long-term stewardship of the land. What types of properties can be covered by a conservation easement? All kinds - including timberland investment properties, farmland and recreational parcels. On the latter, the easement sometimes allows for a homestead right within a designated zone. The owner can build a home within this zone and still manage the remaining acres, where future development is commonly restricted, according to the easement terms. On timber investment properties, there is often no allowance for residential development; the owner (or buyer) of these properties would be focused on long-term timber investment and management goals. Who should consider a property with a conservation easement? 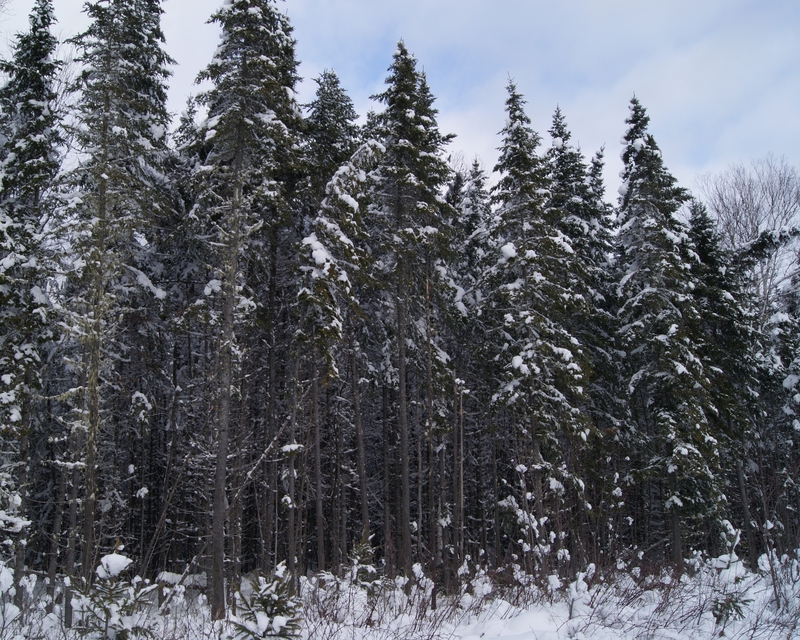 For forestland properties, long-term investors who understand the terms of the easement and the management philosophy of the easement holder, can benefit by acquiring such property well below timber value. This allows the property’s investment performance to be driven solely from biological timber asset appreciation. For recreational properties, buyers who share the same conservation ethic as the easement holder are those who would manage the land similarly to the easement requirements anyway. The availability of conserved land has been on the rise, and while contemplating such ownership requires a thorough understanding of the easement requirements, the benefits can be rewarding. These properties commonly hold special resources such as rivers, lakes, alpine terrain, significant vistas, or a well-managed timber resource, which are not often available at an affordable price in the marketplace.